I think Sean Cotterill aka @asunproject's album "2359" is an electronic masterpiece. There is something wonderfully complete about it. It also reminds me of Boards of Canada which isn't a bad thing... actually, it is a wonderful thing... especially to me. His other material is equally accomplished and his latest album :: intensity :: is something special too. I consider Sean a friend and have collaborated with him... remotely... as part of the w team. I’m a sixth form student up in the north of England, Newcastle to be precise. 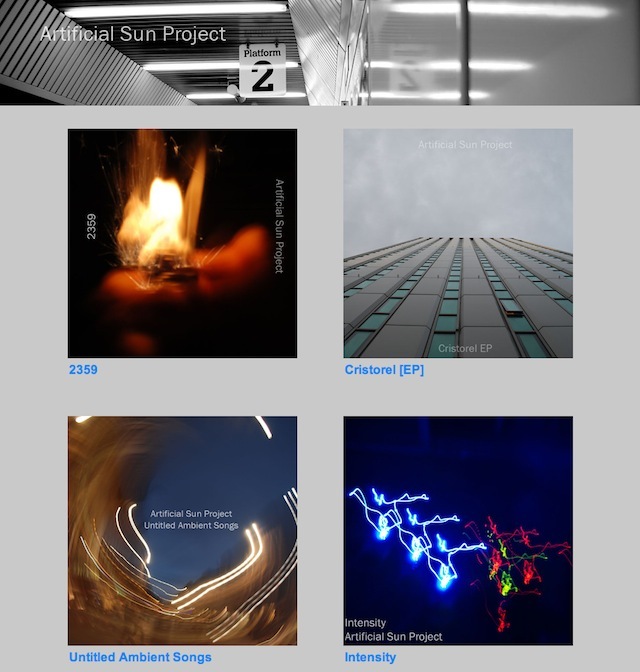 Aside from working on my A levels, I’m running Artificial Sun Project – my creative outlet, spawned after having electronic music as a hobby for about 3 years. I make electronic music influenced by Glitch, Ambient, Trip Hop and IDM, along with taking part in some side projects – Vicious Force and The W Team. I’m also a street musician – I play blues with an awesome harmonica player – we call ourselves The Northern Jukes, and do a bit of an electric violin/guitar combo on occasion. I do a bit of photography too – I’m a big fan of run-down industrial landscapes. I’m doing a few things. Right now I’m putting up some of the first decent recordings I’ve ever done with the blues duo onto Soundcloud, which is great at these are the first ones we’ve got. I’m also thinking of how to finish a few Artificial Sun Project tracks which have been hanging around for a little while, and I probably have an essay on the go to finish for school. While it’s not an “Artist” as such, I think this would have to be the band Portishead. Quite a few years ago, I was really, almost exclusively into metal, and while browsing my music collection, I saw that a band I really liked – My Dying Bride I think, had done a cover of the song Roads by Portishead. And it was pretty amazing – really haunting. So that weekend I went out and bought Dummy. I got in that night and listened to them album from start to finish. And just, WOW. It was incredible. It absolutely blew my mind, completely shattered how I looked at and listened to music. I think that album, more than any, changed my life. In my photography I love using run-down, industrial type areas as subject matter. And, while not “industrial” as such, I think the old Get Carter car park in Gateshead was an example. The majority of people saw it as an eyesore, and I could see why, but it was always such an object of mystery to me. It was like a relic of an age that had recently passed, along with the defunct market at the bottom. It just made me think. I think a thing that inspired my hugely was my first real exploration into John Cage’s philosophy of sound. The idea that all sounds around us, are music, the soundtrack to life. It made me think of music in a totally different way. That is to say that it’s not limited to keyboards, guitars and violins, but anything. Anything we can hear is music, and that’s a hugely liberating and really great thing, if you’re just prepared to open your ears and listen. It’s twofold. I think I do what I do because it’s kind of therapy for me in a way. If I feel angry, I’ll sit and write the most agro bit of dissonant, pummeling noise-type music ever, and if I’m feeling relaxed, I’ll write something laid back and chilled, and all of the things in between. It’s a way of thinking about things. I also do what I do because it’s really great to know that other people are interested. 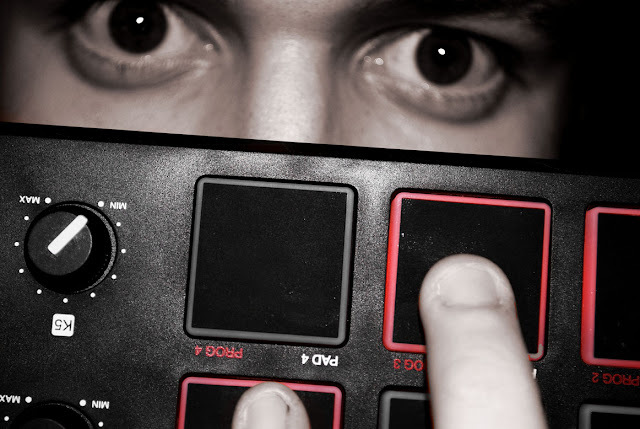 I can create a track, and that provides me with satisfaction by itself, but now other people can listen to incomplete versions and provide me with feedback, and we can bounce ideas back and forth, it motivates me more, because others help me to add dimensions to my music that I’d never thought of before. The synergy of it all is really great. I’m a big believer that creativity should have no rules. It’s part of the reason why I’m fascinated by the Avant-Garde movement in all of its forms. I think I’d like to express that you don’t need to be held down by any kind of structure with creativity, I like to take things in the direction that they need to go. I know it’s a huge cliché, but there you go. I really cannot emphasise how huge the role of community really is to me. When I started my work, back in late 2007, I could only ever see myself listening to these tracks, and that’s how it went for a couple of years. The only people who really listened to anything I produced were me and a few friends. When I moved over to bandcamp and twitter in late 2010, things exploded, the whole project became something I never really thought I’d ever achieve; People are listening to my music from around the world. It’s an amazing thought. The only reason that this has been made possible is because of the community. I’ve had so much support and help through it – I can’t thank the people enough for what they’ve done for me. It’s onward and upward. 2011 looks like it’s going to be huge for me. Hopefully by march/april I’ll be releasing my next Artificial Sun Project album – 62204. It’ll be a kind of diary of my creative thought spanning from the release of 2359 to the new release. There’ll probably be more coming from Vicious Force, The W Team and other projects too. And i’ll soon be getting back playing blues on the street with Doug once the bad weather in the UK has gone I hope. Onward and upward!